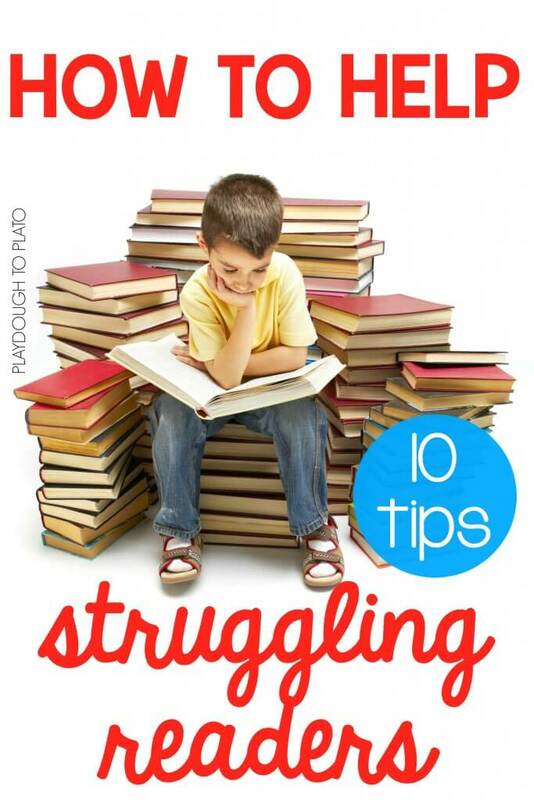 These 10 simple strategies are easy ways to begin helping your struggling readers take big steps forward right away. An important first step in helping struggling readers is figuring out what they already know to determine what to teach next. 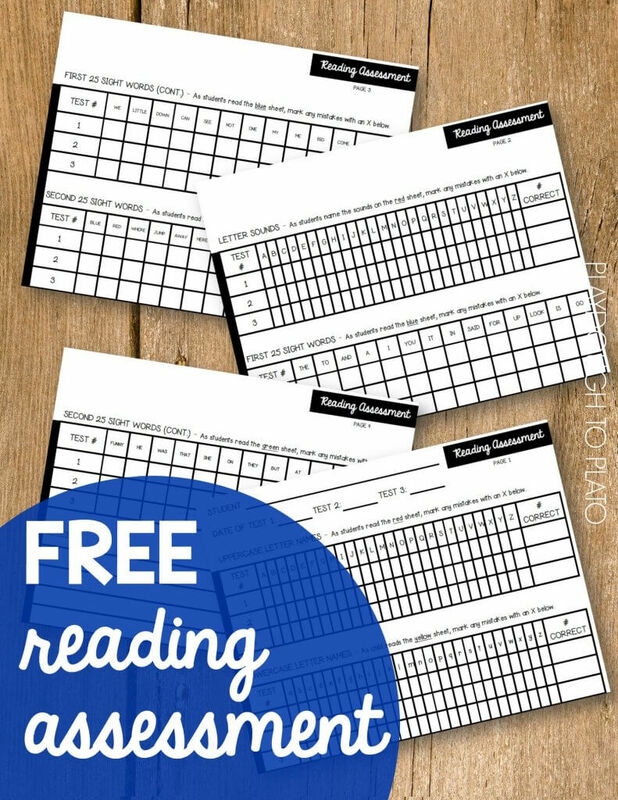 This simple reading assessment is a great place to start or you can use the test required by your district. Look for patterns and clues in the data. Does the child read a page from left to right, top to bottom? Does she correctly recognize the first letter sound in words? Does she stop at that first sound and guess the rest of the word or does she continue sounding out the remaining letters? Does she look at pictures for clues when she comes to unfamiliar words? 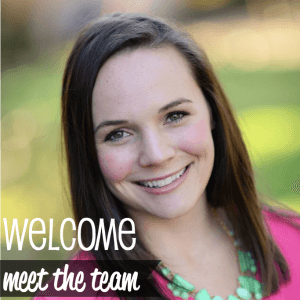 Does she recognize sight words? My favorite way to teach kids the ins and outs of reading a book is to think out loud. Just like the name suggests, you SAY all of the things that you normally THINK. For instance, when you open to the first page of a book, you would explain that readers always start sounding out the word in the upper lefthand corner of the page first so that’s where you’ll begin too. Then you’d point to that first word and sound it out. 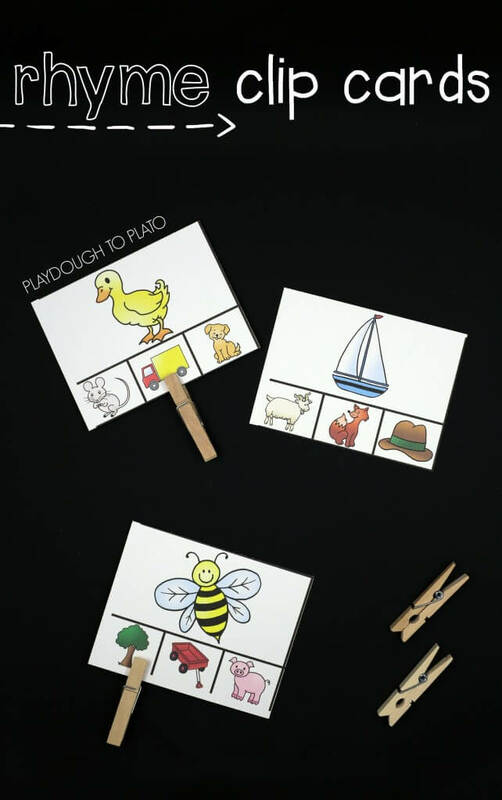 Hearing sounds in words helps children see sounds in written text later. 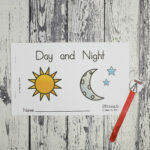 For instance, being able to rhyme sets children up for success reading word families. If a child can hear the sound pattern in cat, hat and sat, then she’s more likely to see the -at spelling pattern at the end of those words. 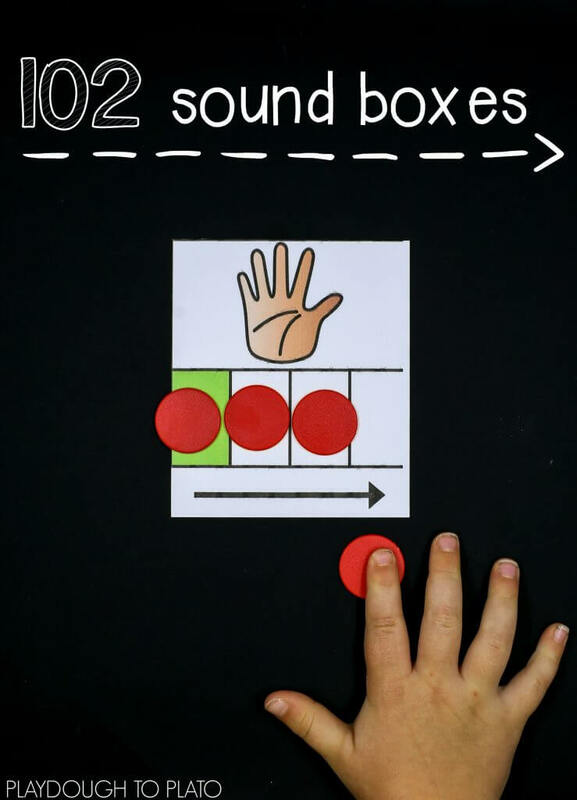 Similarly, helping children stretch words into distinct letter sounds and then put them back together again like the sound box activity below helps them combine letter sounds to read written words later. Trying to read when you know just some of the letters is like trying to bake a cake without all of the ingredients. Kids must have the ABCs down pat. 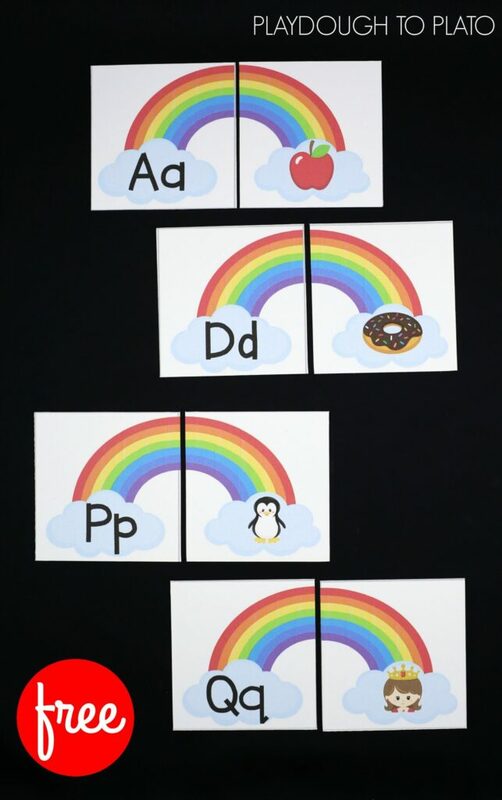 Help students learn upper and lowercase pairs with this batch of free alphabet clip cards. 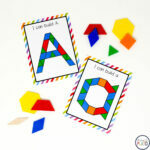 Or work on letter sounds with some colorful rainbow puzzles. 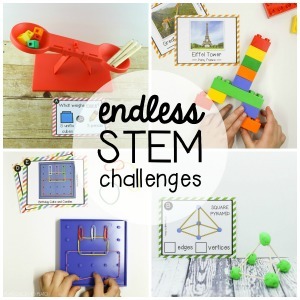 Whenever possible, make activities multi-sensory. 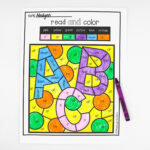 Give visual learners an alphabet chart to help them see the letter sounds associated with a word that starts with them. 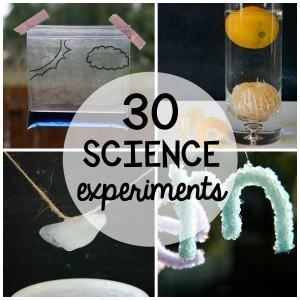 There are so many fun ways to make reading practice hands-on and multi-sensory. 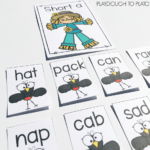 For 30 of our favorite sight word games, grab our best selling activity pack HERE! When a student is falling behind, it can be tempting to try to pick up the pace and cover a lot of information quickly. But for many struggling readers, it’s important to keep them from getting overwhelmed. Focus on one skill at a time (digraphs, for example) and learn it deeply. Then, when children show mastery, move on to the next strategy, making sure to keep the first skill fresh by periodically reviewing it. If you know that students are going to struggle with several words in a text, pre-teach them. Write down the words on separate sentence strips. 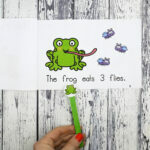 Looking at one card at a time, work together as a group to sound out the word and then draw a simple picture next to it to help children remember what it says. 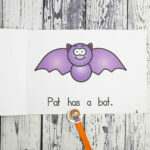 When children come to those words in their text, refer to the cards as a tool for figuring it out. This probably seems like a no brainer but as the old saying goes, “Practice makes perfect.” The more students read, the better they become at it. 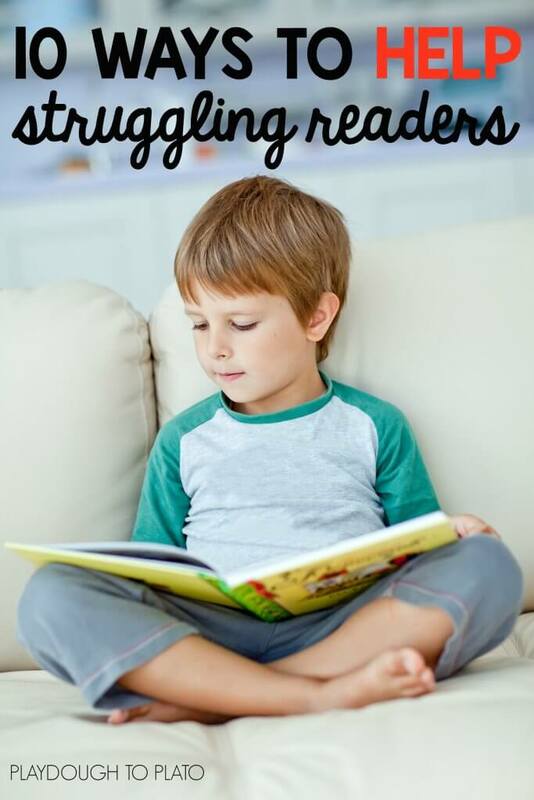 Encourage students to read books at their “just right” reading level but also give them opportunities to work with an adult and read slightly more challenging books so that they have the chance to safely stretch themselves too. If you haven’t already ruled out any visual, hearing and speech difficulties that might be preventing children from seeing, hearing or saying words correctly, be sure to get that in the works. If you don’t have a school nurse or speech and language specialist in your building, encourage parents to schedule a check up with their child’s doctor. Many children don’t like to read because they think they just aren’t good at it. And when you’re reading with small groups, consider choral reading (reading at the same time just like singers sing in a choir) or echo reading (having children repeat the words after you). Knowing that you are reading with them instead of listening to them can be just the ticket for some students to overcome their nerves. 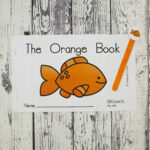 And finally, make reading practice fun! It seems simple, right?! Read funny early reader books like the Elephant and Piggie series or Jan Thomas’ “What Will Fat Cat Sit On?”. 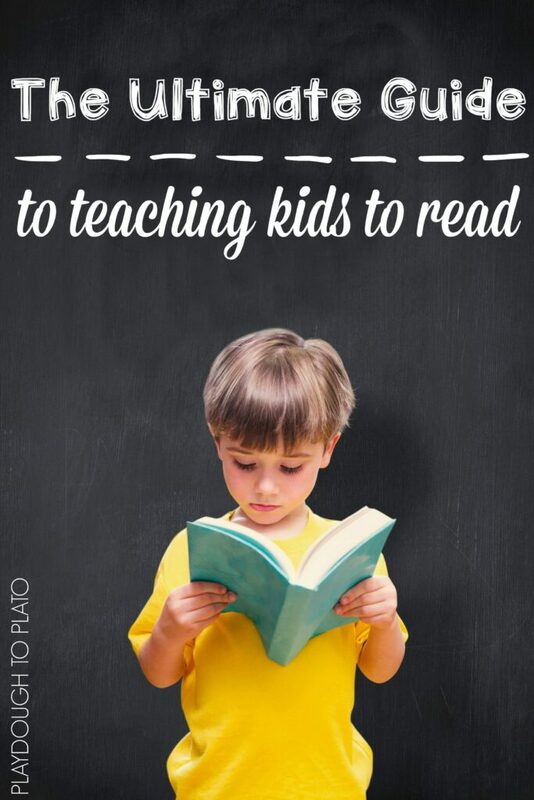 Help kids see reading as entertainment instead of work by reading out loud to them. And turn reading lessons into games! 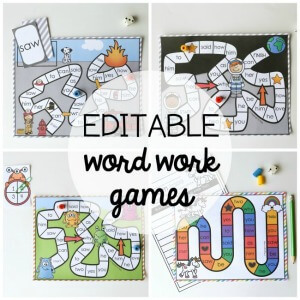 These word work activities are always popular and kids love these beginning sound games. Want a step-by-step map for teaching kids how to read?! 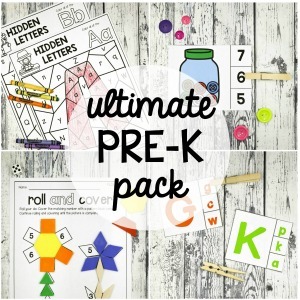 Hop over and check out our ultimate guide HERE. great site – great ideas- great help – thank you!!!!!!!!!!!!!!!! !